Choosing the right General Construction G.E.T. 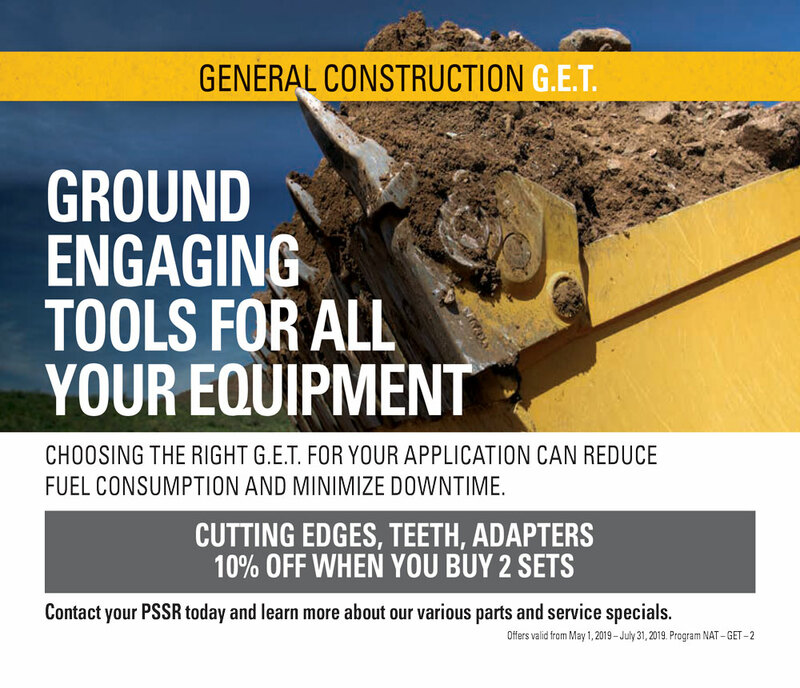 for your application can reduce fuel consumption and minimize downtime. Cutting edges, Teeth, and adapters are 10% off when you buy 2 sets. Contact your PSSR today or call 844-CAT-1923 and learn more about this opportunity.